Saturday 1st of April, around 15 students held a bake sale in front of the Migros in Pully. This sale had one purpose: financing the construction materials for a school in Tanzania, where the students worked in February. Everyone was motivated, and it was necessary to make more cakes during the afternoon. 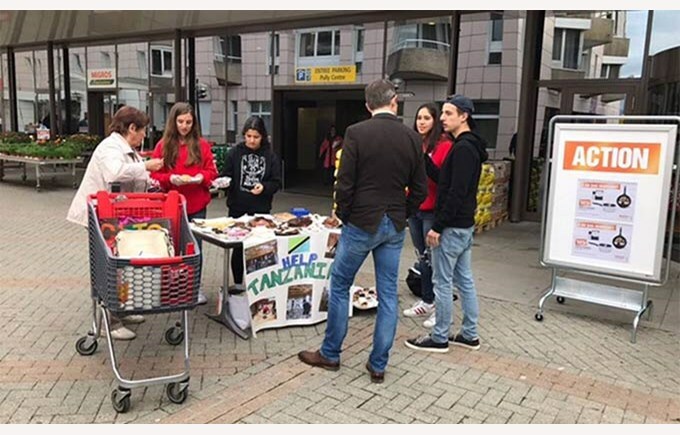 Thanks to the success of the pastries, the students were able to raise CHF1500.-, which will be very helpful for the construction of the school in Tanzania. In May, a carwash will be organised in favour of the same humanitarian project.